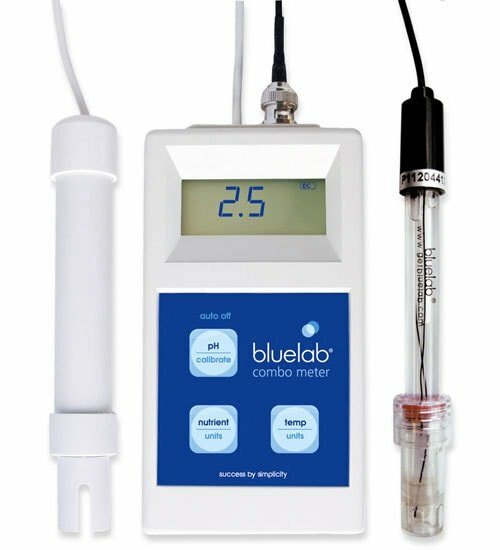 Better harvests start with the Bluelab Combo Meter! 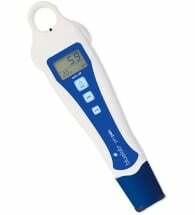 This handy and accurate little unit is a conductivity, pH and temperature monitor all in one. 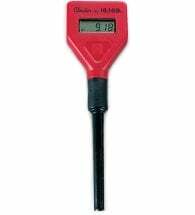 Easy to use, simply place the probes into your solution and the selected reading is displayed on screen. 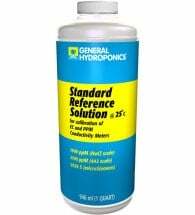 Built-in push buttons and fresh reference solution make it easy to calibrate pH. 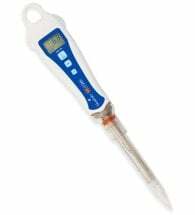 Conductivity and temperature do NOT need to be calibrated as this is locked in during manufacture.